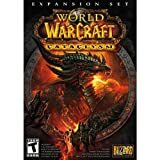 World of Warcraft is not only the world's largest massively multiplayer online role-playing game (MMORPG), but it is also a cultural phenomenon, captivating millions of players worldwide. 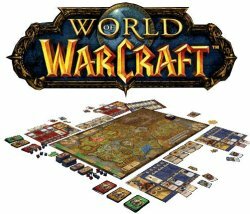 However, in addition to the online version of World of Warcraft, there are also board game versions of the game, published by Fantasy Flight Games. In the board game, players take on the roles of various characters such as hunters or warlocks of either the Alliance or Horde faction. During the game, players adventure across the continent of Lordaeron, earning experience as well as new items and abilities. The ultimate objective of the game is to defeat a powerful "Overlord". With over 1000 individual components making up the game, the World of Warcraft board game is truly massive, and an immersive gameplay experience. For fans of the online game that want to take the world offline, the World of Warcraft board game makes a great strategy game. Prices shown are accurate as of Dec 23, 2017 18:08pm CST. Please follow the links for current pricing.